Design Therapy: ChairMan Of The Board. 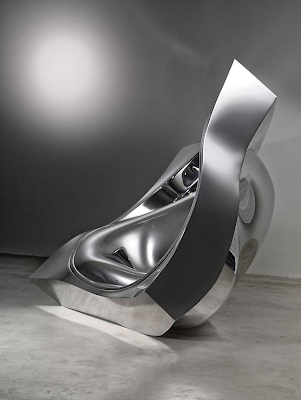 Last week the Friedman Benda Gallery here in New York introduced the latest collection from Ron Arad, and according to the gallery "this new body of work is the artist's most ambitious to date and propels Arad into previously unexplored sculptural dimension. 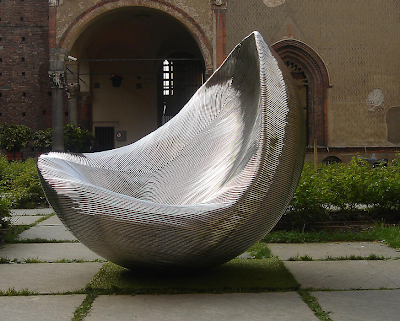 In a departure both in scale and material sophistication, the artist uses his signature vocabulary of volumetric forms to unexpected and mesmerizing visual effect." We've always been captivated by this Israeli artist, designer and architect and consider him to be a major force in the world of contemporary design. But what we like most about this particular collection are the finishes he's chosen to use. 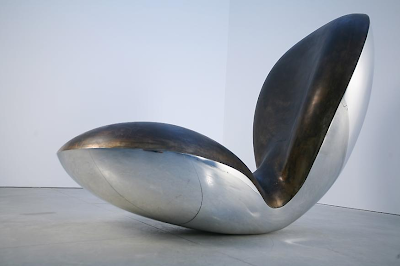 As much as we admire his work, it can sometimes appear to be a bit too "polished," literally and figuratively. While the forms retain strong lines, these pieces have an earthiness and handcrafted quality we find much more appealing. 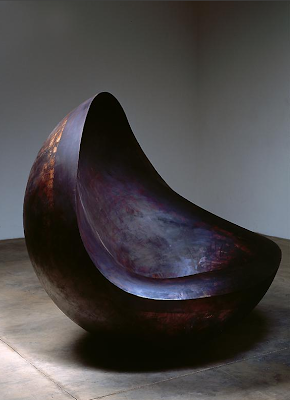 Highly sought after by serious collectors and major institutions around the world, Arad's work definitely deserves the critical praise; but the higher the praise, the higher the price. 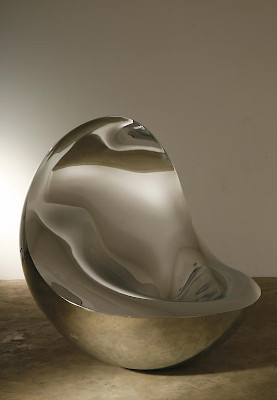 Just last month one of Arad's rockers sold at Christie's auction house for almost $70,000. Sit on that! 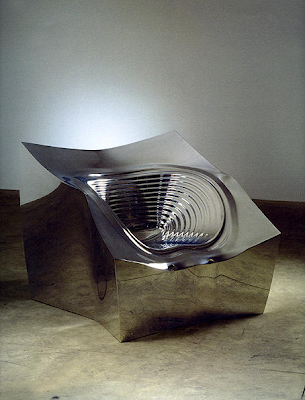 To learn more about Ron Arad click here. Truly amazing pieces I can just build a whole house around them! omg! #1, #2 and #6 are insanely beautiful and my favourites. beautiful shapes, instantly made me think of some of the silverware bowls from the danish jewelry brand georg jensen..